Are you always tired? Hoping that someday you’d feel well again. That was me too. I made some simple lifestyle changes that helped me a lot. These changes were a vital part of my recovery and maybe they will also help you to feel better . I suffered from severe fatigue for many years. And spent a lot of time in bed or just dragging myself around the house to do the absolutely necessary chores. You can read more about my story in My Adrenal Fatigue Story. I found an amazing doctor who put me on the right path and I regained my health. I’m not 100% well but I’m able to enjoy my life again. The following lifestyle changes were a very helpful part of my adrenal fatigue recovery. I did numerous other things too but these were really important. This post contains affiliate links. If you choose to purchase via my links I’ll get a small commission at no extra cost to you. 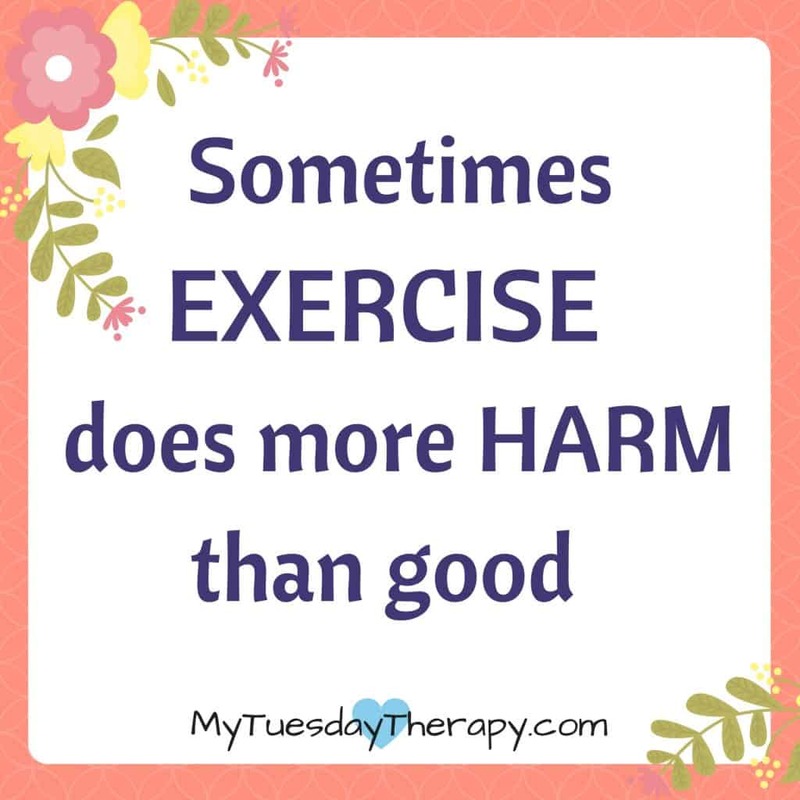 I learned the hard way that exercise can sometimes do more harm than good. For a long time, I thought that exercising was one of the things I needed to get better. So I kept doing it. But instead of getting better, I got worse. I was completely wiped out and shaky after a workout. Also, my heart was not happy. I began to experience heart flips whenever I exercised. On top of that I started gaining weight! Exercising and gaining weight!! I’m not saying that the exercise was the cause of the weight gain but it was not helping. I gained over fifty pounds in three years. Most of it while exercising 4-6 times a week. I had to accept the reality that I should quit exercising to give my body a chance to heal. Since I had adrenal fatigue, I needed to remove stressors from my life and exercise was one of them. When you are healthy, working out is good for you but with worn out adrenals, it is bad. Quitting overexercising was one of the important lifestyle changes I did. You can read a little more about exercising in the post Things to Avoid. If you are struggling with fatigue, ease up on the exercise, at least for a while, and see whether it makes a difference in your energy level. You probably have some sleep problems. If you don’t, good for you! But if you are like so many of the chronic fatigue sufferers, you more than likely have insomnia. I suffered from insomnia for close to two decades and it kept getting worse. I had trouble falling asleep and staying asleep. At first it was due to high cortisol and then later on low cortisol. Additionally, problems with liver, thyroid, heart, female hormonal imbalance etc. affected the quality of my sleep. Sleep is so important to the health. During the sleep you can restore your energy and that’s also when your body has the opportunity to do some healing. I was not thrilled with the thought of sleep supplements. I was concerned that it could be addictive. But accepting the fact that I really needed to get some sleep in order to heal, I began to take sleep supplements. And I’m so glad I did. I got more sleep which made a huge difference. And the natural sleep supplements weren’t addictive. You probably have tried various sleep supplements. I did too. Some of them did nothing, some only worked for a while. But some really helped. The one that worked best for me is called Native Rest. I was suspicious first because it has melatonin in it (among other things) and I had tried melatonin before. But I was pleasantly surprised. Native Rest was great. It helped me to get more sleep. I used it also successfully when traveling to Finland to visit my family and dealing with the seven-hour time difference. Give it a try and maybe you’ll be pleasantly surprised too. Native Rest has a money back guarantee which made the decision to buy it easier. At least I would not be wasting my money on another product that didn’t work. But it worked and I did not have to return it! 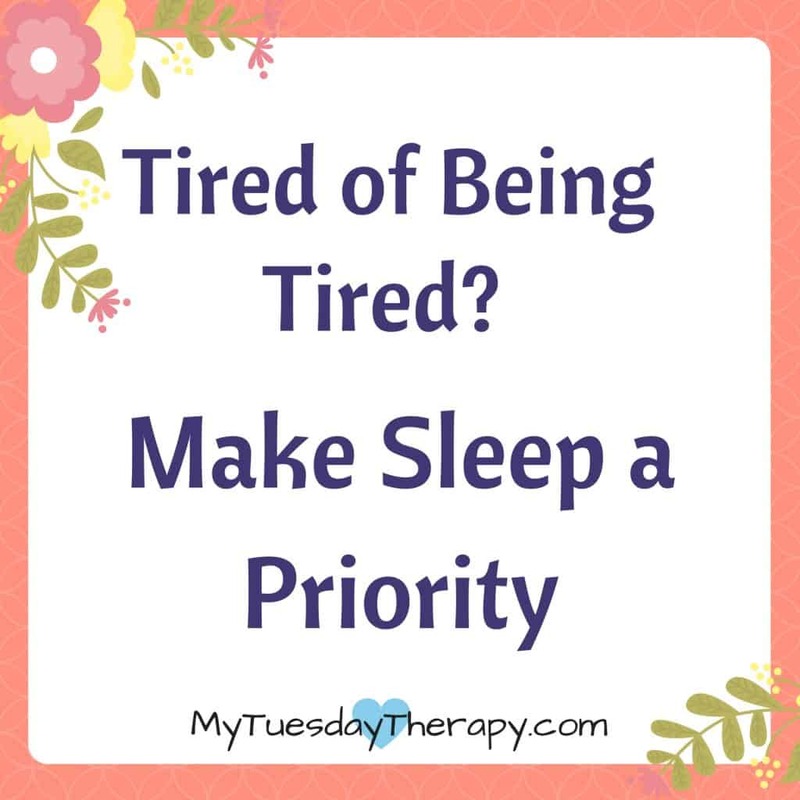 I did other things too to help me to sleep, more about them in this Natural Sleep Remedies post. Check them out and maybe you will find them helpful too. And if you need tips on how to get your kids to sleep so you can sleep too check out this Stress Free Bedtime Routine. For many years I didn’t tell anyone how I really felt. I just mentioned the obvious ones: I had severe allergies and a multiple chemical sensitivity. Then I met my friend, Tammy, and as our friendship grew, I began to confide to her the struggles I faced, the horrible symptoms I was going through. It was so nice to have someone to talk to. She listened and encouraged me. She supported me during the times when I felt frustrated and validated my feelings and pain. 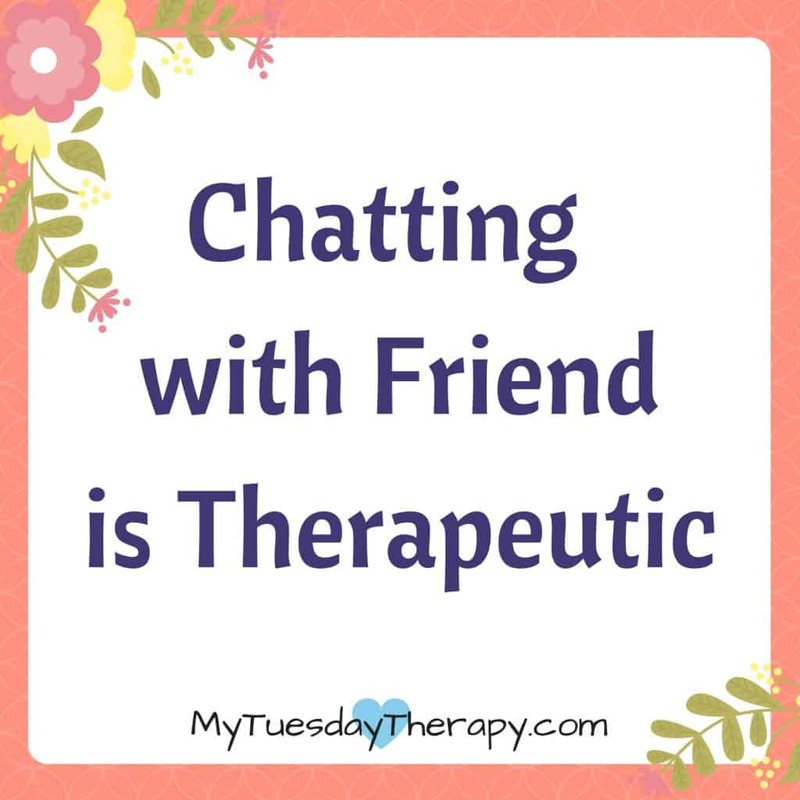 Most times we got together on a Tuesday and considered it a mutual “therapy” time. Thus the name My Tuesday Therapy for this blog. My Tuesday Therapy with Tammy was an essential part of my recovery and continues to be a special time that I cherish. I hope you have a support person, a friend who will stand by you even when you feel discouraged and frustrated. Someone who gives you a hug when you need it and just listens. I would have never thought that adding more salt into my diet could make such a huge difference. The more advanced your adrenal fatigue the less salt you retain. Your adrenals don’t produce enough aldosterone to maintain the sodium level in your body. I craved salt. But instead of eating bags of chips all day long, I began to add more of it to my food and I also started to drink salted water. And what a huge effect it had! I drank ½ tsp in 1 cup of water in the mornings. And an additional ½ tsp to 1 tsp in the afternoon. I use Pink Himalayan Salt or French Grey Sea Salt. Some are sensitive to salt so check your blood pressure for a few days to see whether you react to it. I didn’t have any problems with it. You could go to one of the free blood pressure stations or get your own monitor. I have had Life Source Blood Pressure Monitor for over a decade and it still works well. As my heath improved the salt craving went away. 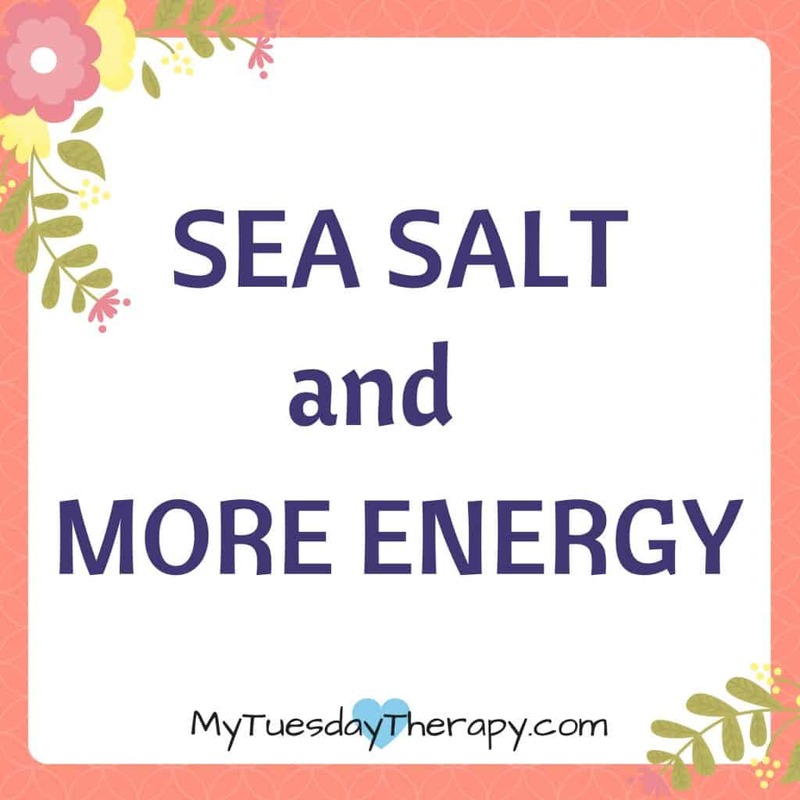 I wrote a post about Stress and Sea Salt. Maybe extra salt is what you need too. I didn’t know that drinking lots of water could make my symptoms worse. But it did. 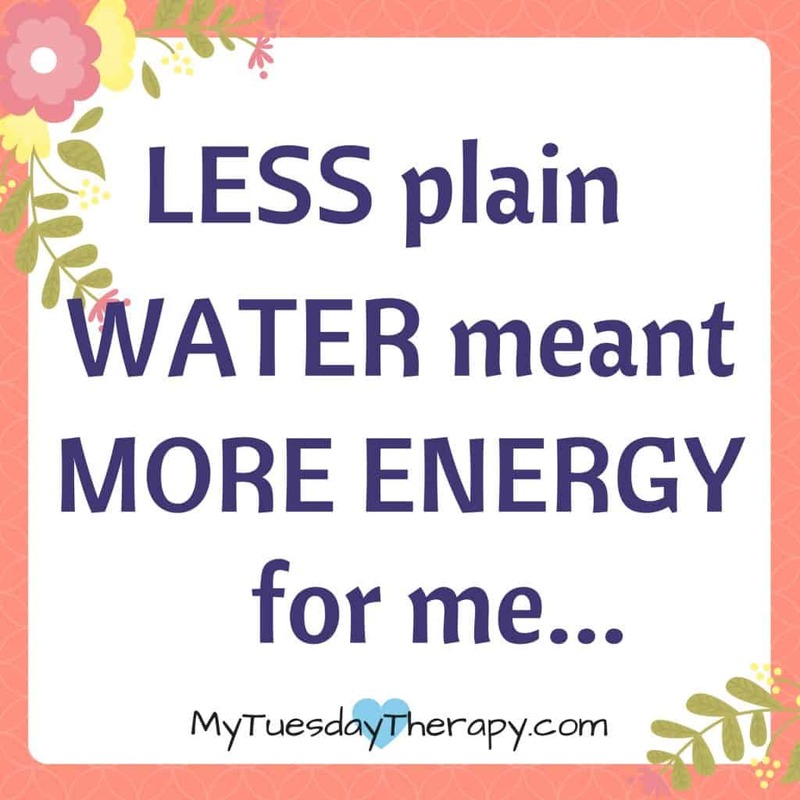 After my diagnosis, I spent a lot of time reading about adrenal fatigue and I learned that people with adrenal fatigue have trouble with water balance. Adrenals produce aldosterone, a mineralcorticoid. Aldosterone helps your body to maintain salt and water balance. If your aldosterone is low, you will have trouble retaining sufficient amount of salt and water in the body. Which makes adrenal fatigue patients thirsty. And to go to the bathroom all the time. And to be dehydrated. Since many of us tend to get dehydrated easily, we drink a lot of water and inadvertently throw off the electrolyte balance. As I mentioned, I began to add salt in my water. Sometimes I added apple cider vinegar. I also drank raw milk, herbal and green teas, and kombucha. 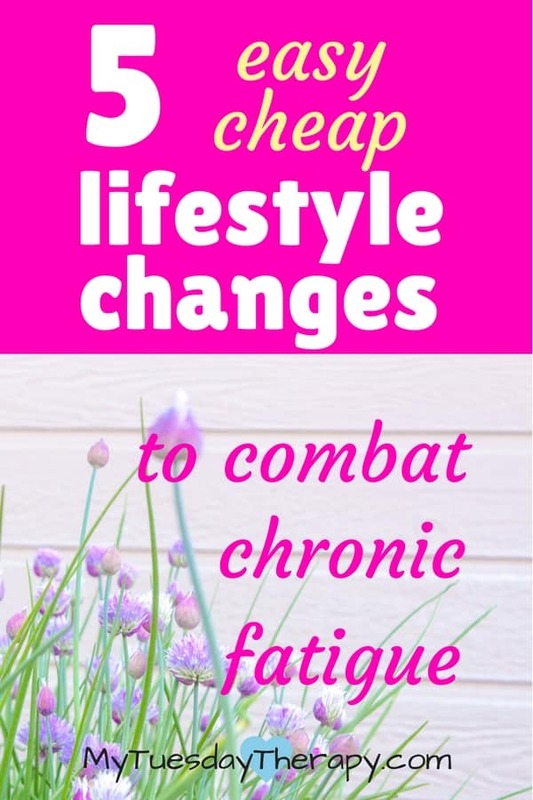 These lifestyle changes alone did not cure me from severe chronic fatigue BUT they were a vital part of my recovery. I took various supplements to heal and support my adrenals. I used natural remedies to heal my gut and bring down inflammation etc.